I hear you. The commitment is hard and there are a million reasons why you shouldn’t volunteer. The truth is if you want an excuse to avoid volunteer work, you will undoubtedly come up with one: I have no time; It’s too far; or in my case, I don’t speak the language. But I must be honest with you, you’re limiting yourself and depriving yourself and others of a gift so wide-reaching that the million reasons to postpone or never do it are not enough. It simply won’t add up. My time with Volunteers in Development, Education and Service (VIDES) was one of the most powerful experiences that has brought me closer to my faith, and closer to the person that I’m meant to be. Through the training service in San Antonio, to my service abroad in Belarus, each community taught me and gave me so much more than I could ever give them, and thank God, I will never be the same again. Part of our training for VIDES was running a camp for a week for unaccompanied minors found crossing the border. These children are from Central America and sent to find a life away from the violence of the drug cartels. Some are found alone, and brought to a center like the one in San Antonio. I was anxious about my limited Spanish skills. However, when the goal is to simply be there for the kids, to have fun and just love them, language is the least important factor. On the first day, a few of the boys zeroed in and, like teenage boys do, tried to intimidate and show-off. One had an eye that was damaged and a wild look about him. He approached me on the basketball court, grabbed the ball, and said that he was dangerous. If you’re a girl who is two inches shorter than the young man saying it, it wouldn’t be outrageous for you to act nervously. Fortunately, I confused the word for dangerous with the word for friendly. After a few comical moments of me saying, “Friendly? We’re friends?”, he chuckled, shook his head, and replied, “Si, somos amigos.” I played basketball everyday with him and the others, and at the end of camp he thanked us so profoundly for allowing them to forget, however briefly, of their troubles and fears. Every night, I repeat his name in my prayers along with the other 24 boys who taught me to laugh and find joy when all you might see is darkness. This was just the beginning of my mission, and once again, I would learn about service and joy, but this time thousands of miles away in a remote village in Belarus. Once you decide to serve, if you’re anything like me, you enter a period of arrogance. It’s the part where you believe that YOU will make their lives better. Yes, you’re a gift, but you are simply the hands for God to do his will. Flying to Smorgon, Belarus I pridefully imagined bringing my faith to a tired people. I pictured myself as a hero, a saint. It’s humbling to remember, and so embarrassing to admit. Once there, I found myself in a community so strong in faith and virtue, I wished that just an ounce of their unyielding strength could be brought home. Smorgon is a town historically situated on the battlefront of two world wars, earning the name “the dead city”. After the treaties were signed, those that found their way home were publicly forced to renounce their God and families, all while secretly continuing a burning devotion and tradition that decades of Soviet oppression couldn’t smother. The scars from the forced deportations, collectivization, famines and wars were etched on the weary faces of the babushkas and preserved in sepia printed photos of family members and friends that never returned home. Despite the hardships they sought joy in the peace that allows them to live their beautiful and faithful lives. 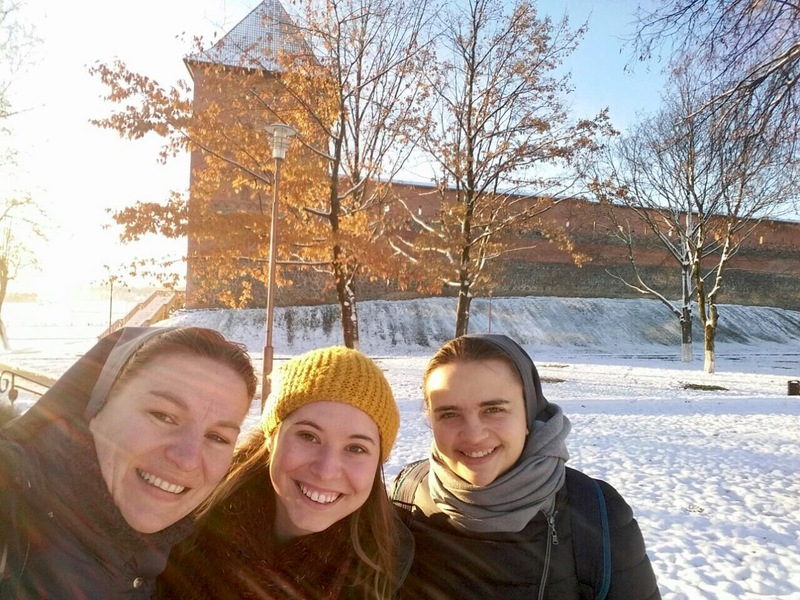 The sisters worked tirelessly to provide friendship, faith, stability and virtue for the children and youth of the community, asking nothing in return. 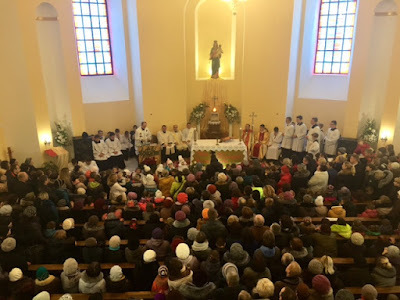 Every mass was packed, and every day after school, the community center echoed with the laughter of kids learning their faith and playing with the sisters, priests and brothers. Everyone worked together to better their community without complaint or competition to be a hero or martyr. Once again I felt myself grow as my ego fell to the wayside. It’s startling to have your life, blessings, and shortcomings laid out in front of you and you either change or ignore it. In San Antonio, I met children forced to grow-up years before they should have. They needed someone to treat them like the children that they are and love them unconditionally. 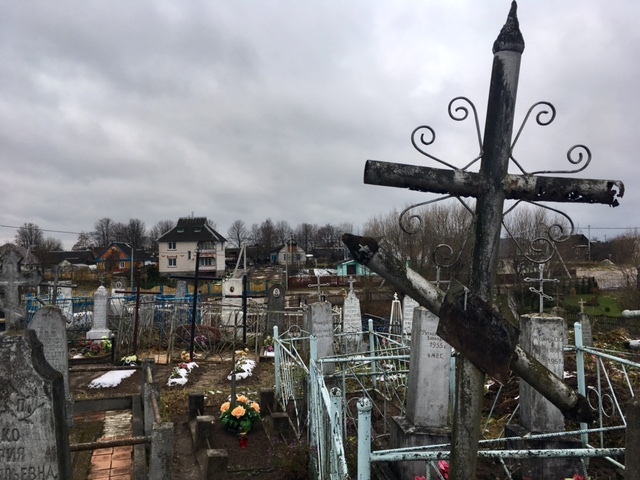 In Belarus, I lived with people who kept their faith and families alive under the most painful and dark periods of human history. It was an opportunity to grow into a more complete Catholic, and I’m forever grateful. So, my dear friend, take the leap. Whether it’s service in your own hometown, or thousands of miles away, stretch beyond yourself. Say yes to God’s call for you to reach out to your fellow man. The cost will be the person you were before, but the reward is the person you are after. To learn more about service opportunities through VIDES, please click here.